"Comfort Tech came out within a few hours of our heater breaking. I'd heard good things about them through neighbors and was not disappointed. They discovered a problem that had been there for a while even though we'd had other companies here before. Was refreshing to have someone be able to fix it, explain what they were doing and not feel as though I was getting the run around." Changing your furnace filter is the single most important DIY maintenance item you can do to save money, ensure clean air in your home, AND extend the life of your system. It costs just a few dollars, takes only minutes to do yourself and really pays off! For more tips and information on how you can keep your heating and air conditioning system running in tip-top shape, please see our blog. 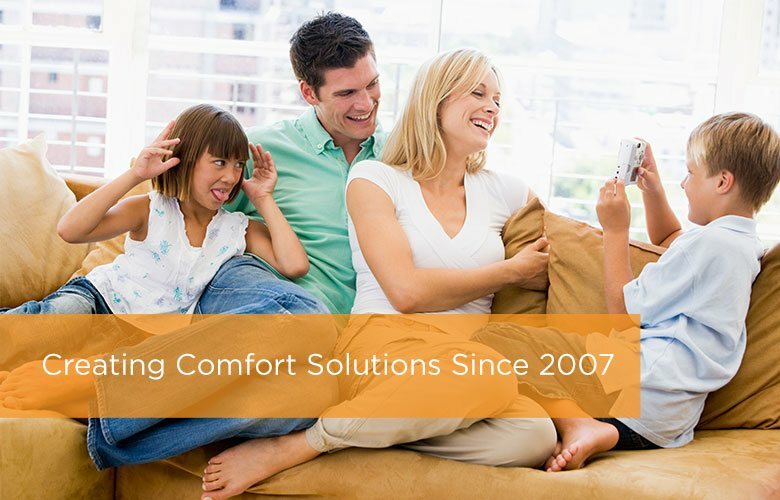 "Comfort Tech's main goal is to create comfort for our clients. We are interested in the client’s wants and needs, and we ask the questions required to solve comfort problems. Not only do we work hard to optimize comfort for our customers, we consistently seek out ways to maximize energy efficiency."